Conventional Biological Treatment systems (MBR/ MBBR/ SBR/ UASB/ RBC etc.). However, they do not remove metallic contaminants, and cannot be easily and cheaply expanded at a later date. Engineered Wetlands need a great deal of space. They are relatively cheap to operate, but therefore require a great deal of effort, land and cost to expand when necessary. Tankering is not practical or cost effective in any but the smallest applications. 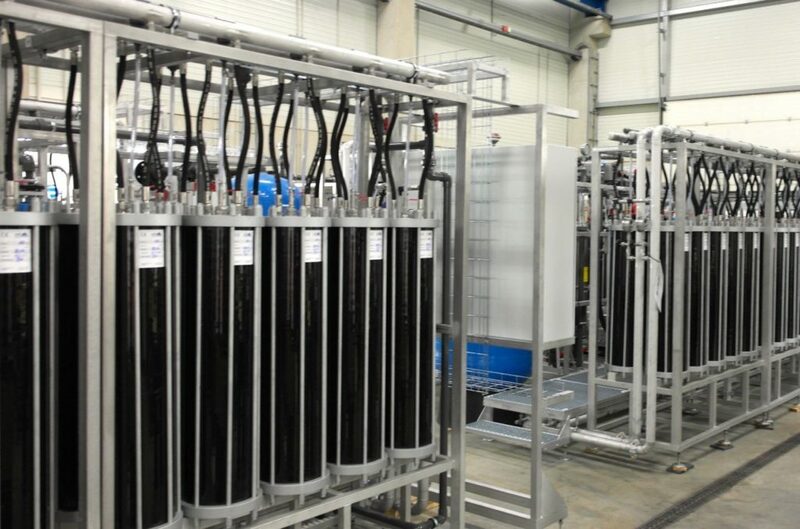 The predominant type of technology used is therefore membrane systems, including Reverse Osmosis (RO), Microfiltration (MF), Ultrafiltration (UF) and Nanofiltration (NF). RO produces the lowest percentage of final wastewater ultimately needing disposal. The treated water is then either safely disposed to a water course or, if required, directly re-used, simply because of its very high quality. Membrane-based systems separate contaminants from water very efficiently. However, in particularly challenging applications, such as leachate from landfill sites, plate and frame module technology has really big advantages over other designs. Circular Disk Membranes have proved themselves to be particularly well suited for such challenging applications. This is partly because they handle a much higher SDI (Silt Density Index) than other membrane systems. SDI is a measure of the amount of suspended solids present in the leachate and, for many other system types, blockage caused by these solids is a major issue! Very low chemical consumption for the process. RO proven technology able to meet discharge consents. 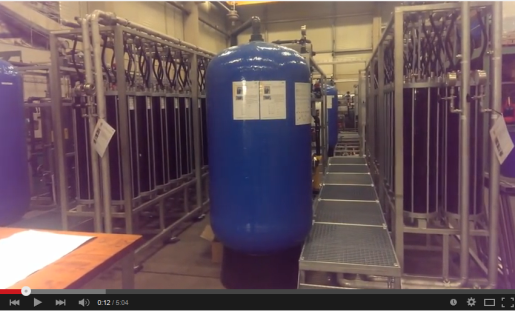 Modular design is adaptable for changes in UK legislation throughout the life of the plant. No leachate tanker movements from site. Quick to install and expand when required. The standard, modular design is suitable for all client sites. We are gradually increasing the amount of leachate waste that we recycle. Even so, we still tip huge amounts into landfill sites every year. At the moment, there are generally no other practical options available once you have recycled as much waste as possible. Waste contains a wide range of types of contaminants that are harmful to our environment. The waste contains substantial amounts of toxic metals, often from packaging materials. Most people do not know this. Rainfall runs through the landfill sites and consequently it gradually dissolves the huge range of contaminants. It is therefore necessary to treat the highly contaminated rain that runs off the site. Discharging it to the environment is not an option. What are the actual goals for treatment? What type of treatment is best suited to achieve those goals? Treat the leachate. Then discharge it to the environment. The system design must handle varying quality of the untreated leachate. So, there will be a far higher volume but a lower concentration of the contaminants following periods of rainfall. Conversely, if there has been little or no rainfall for a long time, and then it starts to rain hard, the leachate will probably have both a high flow and a high concentration. Discharge the treated leachate. This will normally be to foul sewer or perhaps a local river. In areas of severe water shortage it can be recycled and re-used. What are the system operating costs? The entire treatment system certainly increases the overall operating costs for each landfill site. Environmental protection is the only reason for having it. Therefore operating costs should be as low as possible. Can the chosen plant be easily and quickly expanded at reasonable cost? Clearly, as each landfill site expands with time and / or the average rainfall increases, often a larger treatment plant is required later on. H+E is your partner for the design & supply of water & wastewater treatment systems. Field Place Estate, Broadbridge Heath, Horsham. © 2017 Hager + Elsässer. All rights reserved.